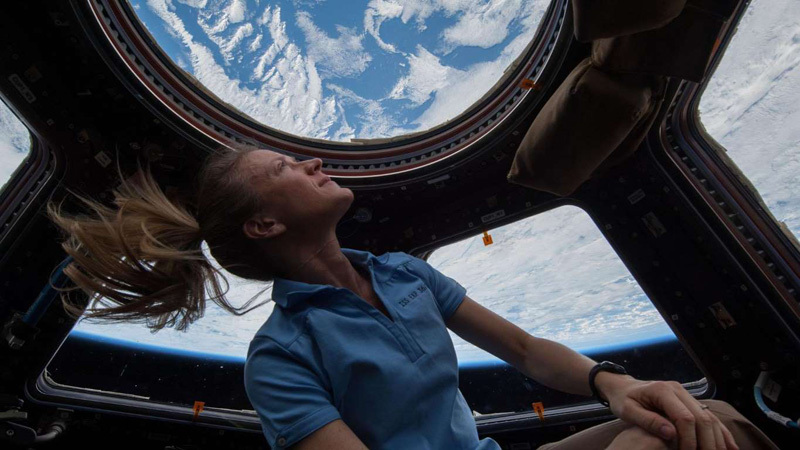 NASA astronaut Karen Nyberg looking out of the space station’s cupola. The members of the Mars 500 study who stayed inside a habitat for 520 days. That’s why a new workshop next week plans to address this often-overlooked aspect of space travel. Called Space^2, the event will bring together astronauts, health professionals, and design experts in Cambridge, Massachusetts, to discuss what types of technologies and hardware deep space missions can include inside their spacecraft to make interplanetary journeys a more enjoyable experience. Up until now, astronauts have mostly experienced short trips to space, usually lasting less than a year. Because of this, spacecraft interiors have revolved around optimizing volume and less on giving people peace of mind. And some experts say that needs to change. 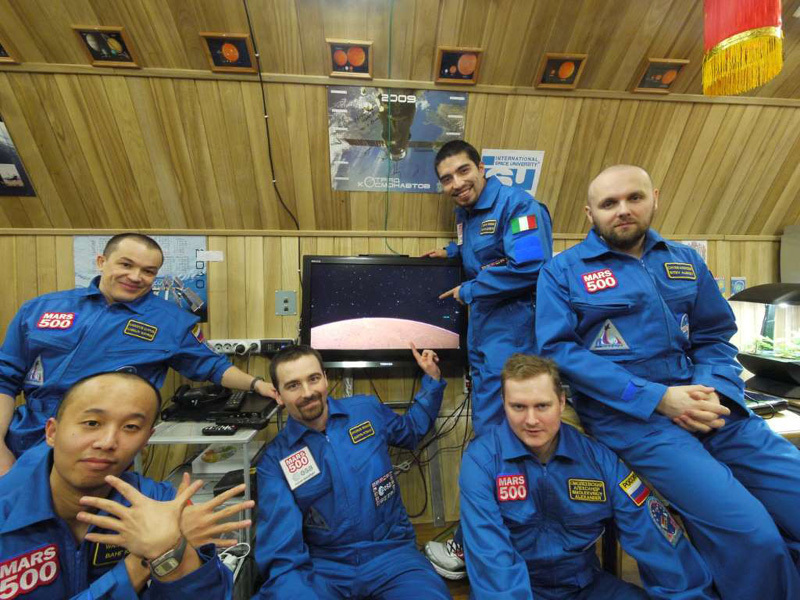 Between 2010 and 2011, Russia and Europa studied a crew of six, who lived together in a simulated spacecraft for 520 days, the approximate length of a human mission to fly by Mars. They only had 775 square feet of space for the entire experiment, about the size of a tiny one-bedroom apartment. Investigators found that some stopped moving around as much toward the end of the experiment, a few experienced an increase in depressive symptoms, and most of the participants had abnormal sleep schedules. One crew member no longer had a day / night sleep cycle. 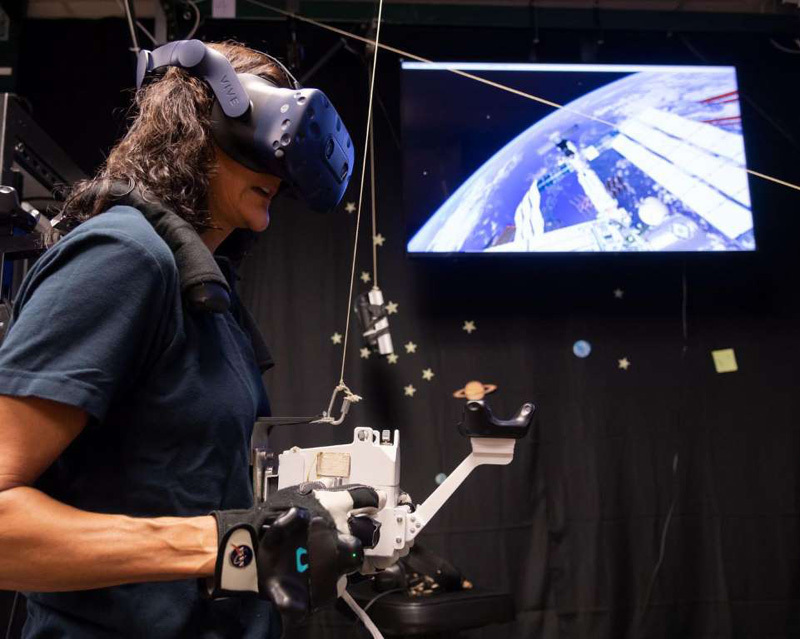 NASA astronaut Sunita Williams practices spacewalking in virtual reality. Some historical situations provide context for what might happen on a mission to Mars. One Russian cosmonaut, Valentin Lebedev, wrote about his strained experience spending 211 days on board a tiny space station called Salyut-7 in 1982, with just one other crew member. “It’s a really compelling story, because there were periods of time they weren’t even talking to each other,” Jay Buckey, a former NASA astronaut and a professor of medicine at the Geisel School of Medicine, tells The Verge. Numerous expeditions to Antarctica have also put scientists in close quarters, surrounded by an unwelcoming environment. The Belgica, the first expedition to spend winter at the continent in the late 1890s, experienced significant struggles when the ship became trapped in ice. The crew on board couldn’t go outside much, and many experienced severe mental health issues as a result of the experience. “They had a really high rate of psychosocial problems, part of which might have been due to the environment they were in,” Buckey says. Ultimately, humans are physical and visual human beings, says Donoviel, and space travel can deprive individuals of some of their basic desires. Plus, the longer people stay on a spacecraft, the harder it can be for them. “It’s a challenge to live with a small group of people for a long period of time, and there are definitely issues with stress, conflict, and sometimes depression,” says Buckey. For instance, when NASA shifted from doing Space Shuttle missions, which lasted for just weeks at a time, to six-month stays on the International Space Station, there were anecdotal reports of astronauts experiencing much more psychological stress, according to the space agency. It will all be much worse on a mission to Mars than it is for those on the ISS. The ISS has about 32,333 cubic feet of interior space, about the volume of a Boeing 747, NASA says. That allows crews a bit more room to move around. But for a Mars mission, NASA has estimated that the minimal acceptable volume for a human mission to the Red Planet will be about 883 cubic feet per person. For a four-person crew, that adds up to about the size of a 17-foot U-Haul trailer. Donoviel hopes that this number could potentially grow based on some more behavioral research. “Unless we bring forward the requirements for the humans to the engineers, we’re going to be given a number we’re just going to have to live with, and I’m not sure it’s going to be sufficient for health,” she says. Of course, there are others who want to go to Mars, too, and make it a luxurious experience. Private spaceflight company SpaceX, dreams of creating a more spacious vehicle, the Starship, to take people to the Moon and Mars. During a presentation, SpaceX CEO Elon Musk has said the interior pressurized volume of the vehicle would be about that of the ISS. 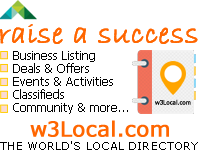 And the company is known for valuing aesthetics as much as function in its designs, which could make things a little more pleasing to the eye. Still, SpaceX runs into the same problem of isolation. Astronauts on the International Space Station are able to look out the window and see Earth whenever they please, feeling a connection to home. Earth will only be a speck in the distance for those on a mission to Mars. One way experts are thinking of combating this is through the use of virtual reality. VR headsets were given to crews on the simulated HI-SEAS missions in Hawaii, showing them scenes from the Bavarian Alps and beaches in Australia, something they very much enjoyed, according to Buckey. Such technology could be a way for astronauts to momentarily escape the daunting task of going to Mars. To combat this, it’s possible that engineers and designers might want to introduce certain smells and sounds inside the cabin. “It turns out there are certain smells that make people feel like they’re surrounded more closely by people and certain smells that make you feel like you’ve got a little more space between you and your fellow humans,” says Smith. In fact, various cedar scents and bright colors were used on the British Antarctic Survey’s research station in Antarctica to combat the blues of being cooped up all winter. Smith also notes the possibility of creating synthetic human beings with visuals on walls or conversational bots akin to Siri or Alexa. There aren’t any correct solutions to these problems yet, but the Space^2 conference could put engineers on the right path. “This is a great chance for us to think about things great and small that we can bring with us and things that are analogue and digital we can bring with us,” says Smith. And while a human mission to Mars is still many years away, experts say it’s time to think about this now so we can plan the design of these spacecraft well in advance. If behavioral health isn’t taken into consideration, adverse reactions could be disastrous for deep space travel. “We really don’t know how these folks will react to such a confined space. And the consequence of that is loss of crew or loss of mission,” says Donoviel.